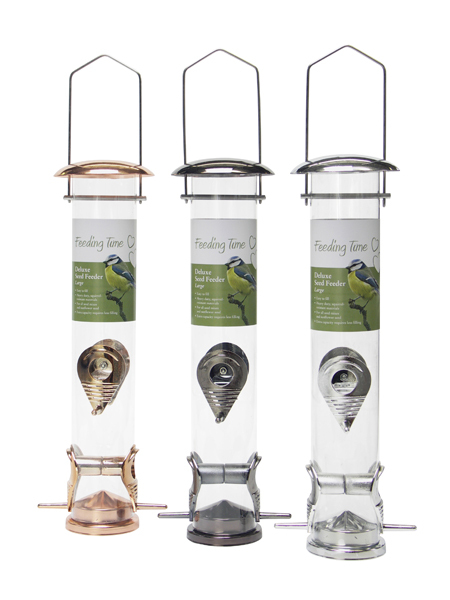 A premium quality, deluxe bird feeder that comprises a sturdy water-tight lid, strong metal hanger, a lattice wire structure and posts for wild birds to perch on whilst they enjoy the nutty contents of the feeder. An attractive and fully functional addition to any bird lover's garden! There are currently no questions for Rosewood Feeding Time Deluxe Seed Feeder - be the first to ask one!